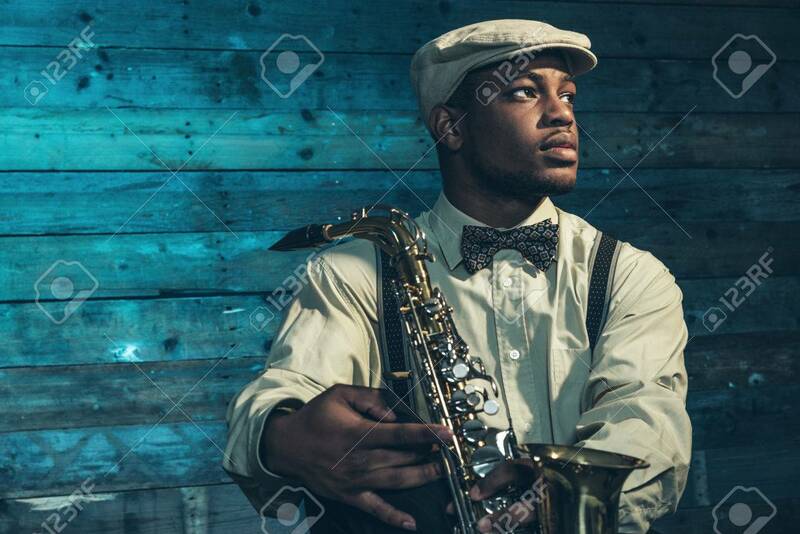 African American Jazz Musician With Saxophone In Front Of Old.. Stock Photo, Picture And Royalty Free Image. Image 33572197. Stock Photo - African american jazz musician with saxophone in front of old wooden wall. African american jazz musician with saxophone in front of old wooden wall.